Attacks by Russian hackers could threaten British democracy, GCHQ has warned politicians. 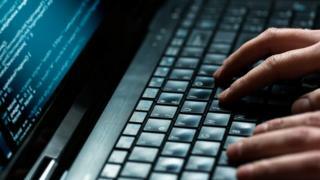 The spy agency's computer security chief has written to political parties offering advice on preventing hacks, according to The Sunday Times. US intelligence officials have accused the Kremlin of using cyber-attacks to influence the November election. But Foreign Secretary Boris Johnson said there was so far no evidence of successful attacks in the UK. In a letter to politicians, Ciaran Martin, chief executive of GCHQ's National Cyber Security Centre (NCSC), said: "You will be aware of the coverage of events in the United States, Germany and elsewhere reminding us of the potential for hostile action against the UK political system. He said GCHQ would offer tailored seminars to help political parties understand the threats and reduce the risk of information being stolen. In February, Mr Martin warned that Britain had been targeted with 188 attempted high-level hacks in the previous three months, "many of which threatened national security". Chancellor Phillip Hammond, a former defence and foreign secretary, added that the NCSC had been blocking more than 200 attacks a day on government departments and the public over the last six months. A report by US intelligence officials concluded that Russian President Vladimir Putin ordered the hacking of the Democratic National Committee to influence the November election in favour of Donald Trump. Meanwhile Germany's domestic intelligence chief warned in December of "increasingly aggressive cyber-espionage" by a hacking group believed to be controlled by the Russian state. Mr Johnson told ITV's Peston On Sunday: "We have no evidence that the Russians are actually involved in trying to undermine our democratic processes at the moment. We don't actually have that evidence. "But what we do have is plenty of evidence that the Russians are capable of doing that. And there is no doubt that they have been up to all sorts of dirty tricks." The foreign secretary said there was "very little doubt" that the Kremlin was behind the hacking in the US, cyber-attacks on French TV stations and an attempted coup in Montenegro. Russia has rejected these allegations.